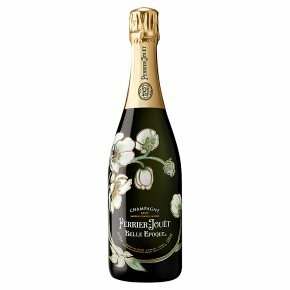 The Belle Epoque Cuvée is the pride of the House of Perrier-Jouët. It is not by chance that many experts consider it among the finest prestige cuvées in the world. Cuvée Belle Epoque is the perfect aperitif, or during a meal, its freshness and floral scents blend beautifully with the salty flavours of shellfish and fish or light white meat dishes. Sensual and silky, the flavours mingle to leave a long, fine finish. Fine Champagne. Wine of France. The Belle Epoque Cuvée is the pride of the House of Perrier-Jouët. It is not by chance that many experts consider it among the finest prestige cuvées in the world. Cuvée Belle Epoque is the perfect aperitif, or during a meal, its freshness and floral scents blend beautifully with the salty flavours of shellfish and fish or light white meat dishes. Sensual and silky, the flavours mingle to leave a long, fine finish.